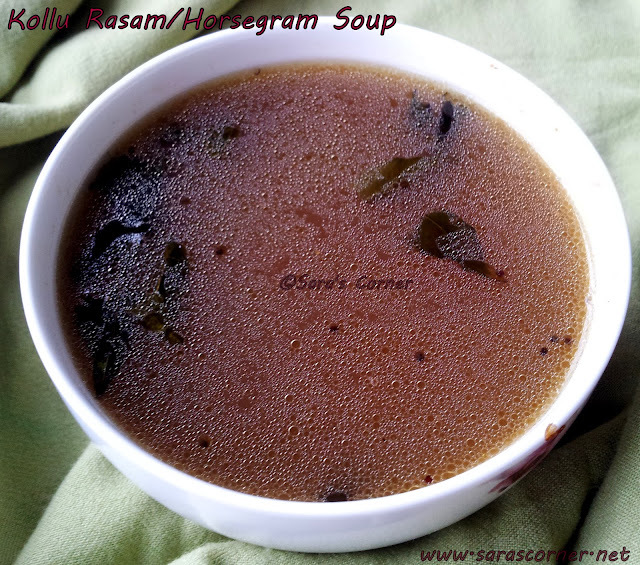 Kollu Rasam /Horsegram Soup is a very healthy dish or to mix with steamed rice. Checkout my previous post for Kollu Sundal here. In a vessel add tamarind water and chopped tomato, salt and cook till tomatoes are soft. Now add the water you to got from steaming kollu. If you wish you can also strain it once. In a blender, garlic, jeera and pepper Grind it to fine powder. Add this powder to the water and mix well. Add more water if required. Once the raw smell is gone. off the stove. Heat a pan with oil/ghee and season it mustard, asafotida, dry red chilli and curry leaves. 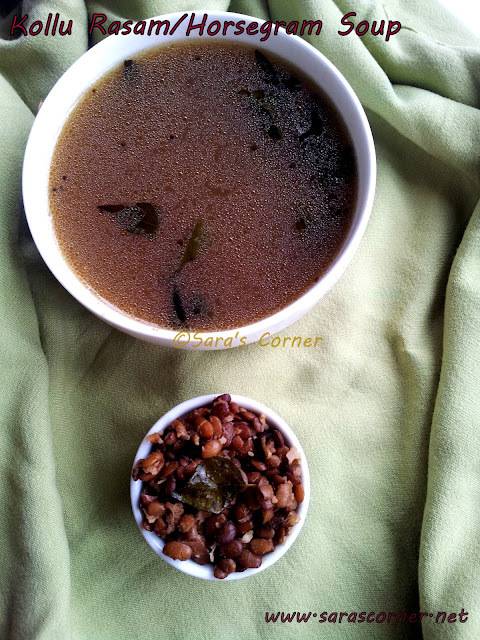 Kollu/Horsegram Rasam Soup is ready to serve. Enjoy it with steamed rice and Kollu Sundal. Notes - You can also add some steamed Kollu/Horsegram to it. Also can skip adding garlic if you do not wish. Healthy n yummy.. Love to have it now! Innovative and very healthy soup. Rasam is very favourite in my family.. Looks very yummy. Nice and healthy rasam,I make it often in the winter times to keep the body warm..
i have kollu rasam on my to do for long... bookmarking this one!! !